So I received an email from Laurent François about the #WebCream project. It’s an interesting concept aiming to connect people from all over the world, speaking different languages, but people who all recognize social media as an important changing agent in their daily lives. 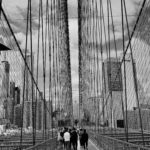 I thought it’s fitting to post my story on this blog since I’m trying to find a connection between my different languages. 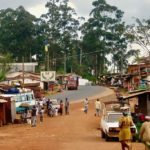 When thinking of being in the Peace Corps, the image of living in a village among a culture that is completely different naturally pops up. That image is usually follow by a very basic living condition that doesn’t have running water, may or may not have electricity, getting very creative with everyday tasks like washing dishes, laundry, baking, etc. All those describe me as a Peace Corps volunteer in 2009, posted in a small village of West Cameroon. However, with advent of technology, I am also equipped with access to Internet. By Internet, I do not mean your high-speed DSL, cable, T1 or some other absurdly fast Internet where you watch YouTube videos without even thinking about it. Think back when Internet first became popular back in the late 90’s – that’s the kind I have. But hey, better than nothing! I struggled a while to decide to spend the $40 a month on very slow Internet. 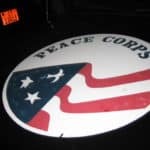 I was afraid having constant access to the “real world” would defeat the purpose of being in the Peace Corps. But then I realized that everyone joins the Peace Corps for different reasons, and mine most certainly was not to be cut off from the world. Instead, I used it to my advantage; posting anecdotes of my life through the blog Round II: Cameroon, tweet about things that annoy me or makes me happy on Twitter, and exchanging project ideas with people all around the world through email. There is no doubt that having Internet access changes a Peace Corps experience. But in the end, it’s a matter of choice, and I choose to let it help me promote my stories and projects. Social media, after all, is helping Africa, the lost continent, to be a little bit less lost. Hi I just read you post on twitter about Cameroon are you still there? You talked of people stealing what was that and where?hope everything is ok now for you. 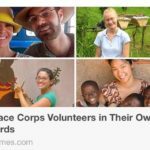 When people say "that's not the real Peace Corps," I ask them back "what is?" I have wifi both at home (with my host family) and at school; another response I give is "would not having internet make me a better volunteer?" Absolutely not. I'm an ICT volunteer and most of the software I use come from the internet. If anything having internet has made me a better, more effective volunteer, providing free, open source software for my community.